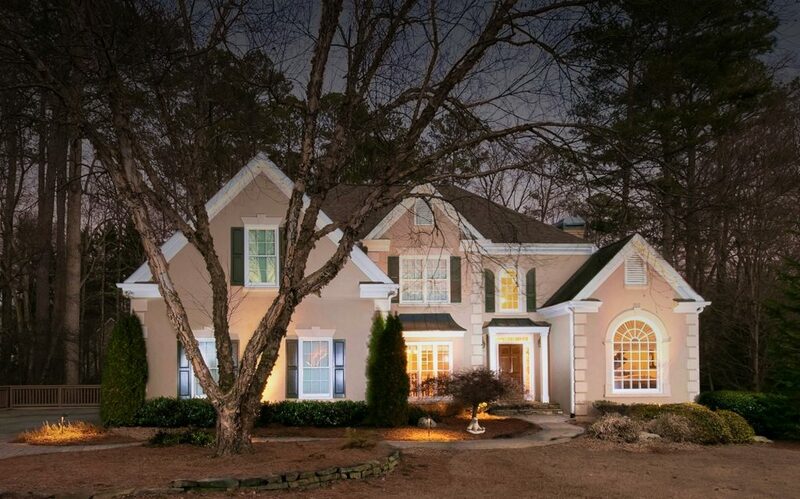 Just listed in the Johns Creek High School district! Gorgeous showcase home situated on a large, level, cul-de-sac homesite in sought after DoubleGate! Meticulously maintained & beautifully updated with too much to list! Island kitchen/granite countertops/stainless appliances/hardwood flooring through entire main level/master retreat w sitting area/frameless shower/master & secondary baths have granite countertops/updated lighting & plumbing fixtures throughout/home office/screened porch/basement features BD/BA/media room/rec room/private fenced yard has front & rear irrigation/3 car garage/hard coat stucco. Come quick! DoubleGate offers a Jr. Olympic swimming pool, bath house, baby pool, six lighted tennis courts and a sport court, with active ALTA and USTA tennis teams. Golf, shopping, services, and easy access to GA 400 are within minutes away.